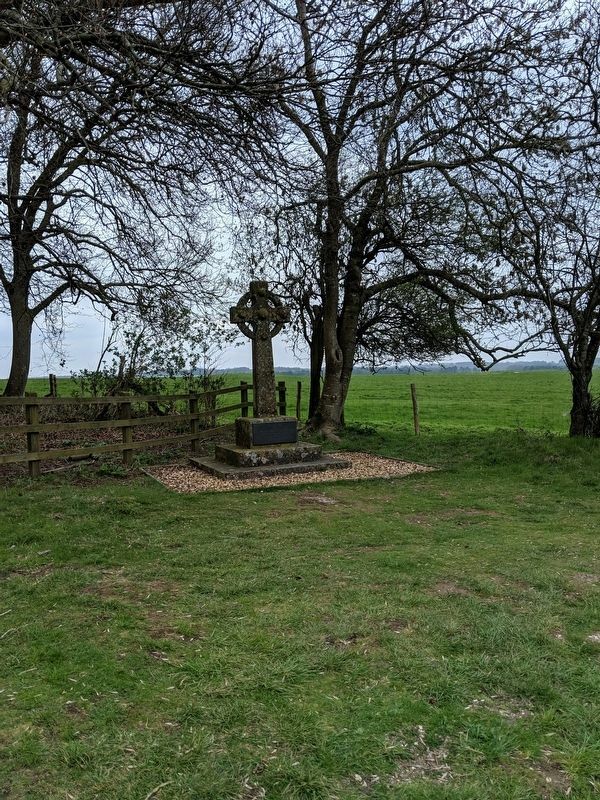 Who was killed whilst flying on the 17th July 1913 near this spot. Location. 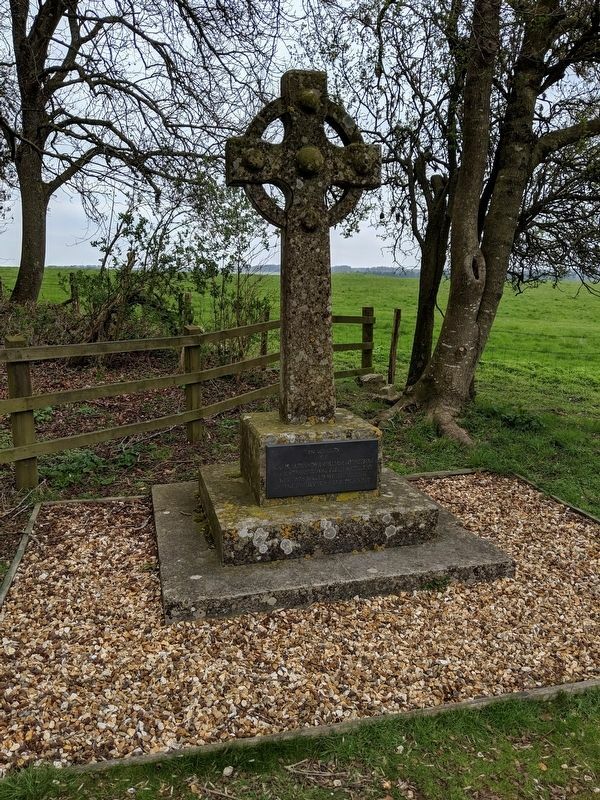 51° 10.963′ N, 1° 50.387′ W. Marker is in Salisbury, England, in Wiltshire. Touch for map. Marker is on walking/shuttle path between Stonehenge and the visitors center. Marker is in this post office area: Salisbury, England SP4 7DE, United Kingdom. Touch for directions. Other nearby markers. At least 1 other marker is within walking distance of this marker. Welcome to Stonehenge (approx. one kilometer away). More. 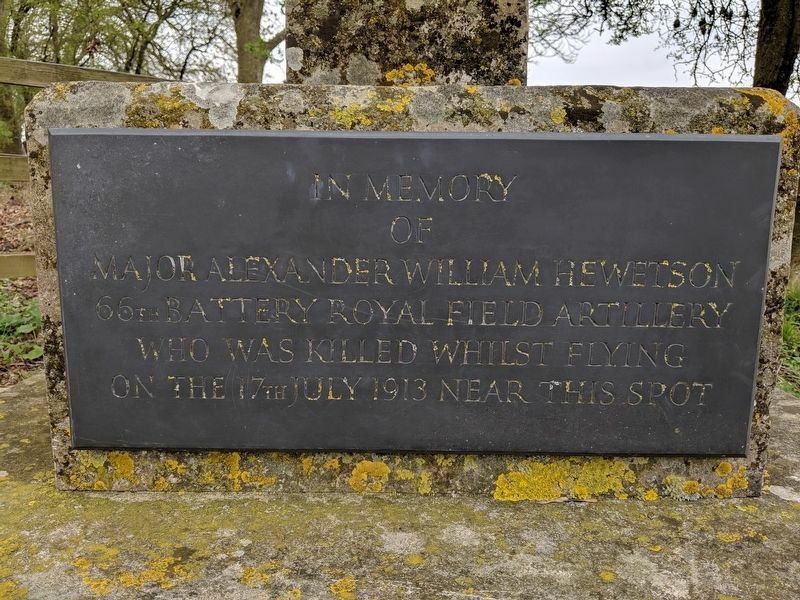 Search the internet for Major Alexander William Hewetson. Credits. This page was last revised on April 12, 2019. This page originally submitted on April 12, 2019, by Mike Wintermantel of Pittsburgh, Pennsylvania. This page has been viewed 39 times since then. Photos: 1, 2, 3. submitted on April 12, 2019, by Mike Wintermantel of Pittsburgh, Pennsylvania.